SARtech's Digital Publication transforms traditional print media and PDF files into more appealing interactive presentations that greatly enhance the reader experience in order to increase readership, boost online sales and lower publishing costs. You provide the content and we convert it into a dynamic flash presentation and hosts it for you and your readers. 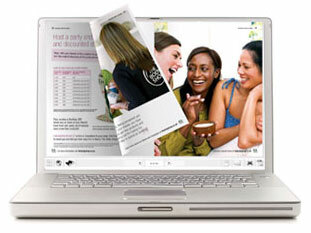 Instead of displaying static PDF files you can present a user-friendly publication that holds your readers' interest. Our Digital Publications are designed on a traditional print platform and so are suitable for a variety of publications that normally only exist in a print. Use them for presentations of digital magazines, brochures, catalogues, reports and anything else you need to communicate to your reader.